It’s 5G week at AndroidPIT and we’re here to bring you answers to the most burning questions about the next generation of mobile networking. In this article, we’ll be looking at 5G in the UK, where things are already getting exciting. We have already touched on what 5G is and what benefits it will bring in our article about the state of 5G in the US. You can read that here. For a closer look at the UK market, read on. Which carriers are working on 5G? Carriers are perhaps the most crucial part of the 5G rollout. In the UK, all of the big names in this business has plans for 5G, and all seem to be making good progress. Here’s a roundup of what each of the biggest UK carriers is doing with 5G, and where they are up to in terms of upgrading to 5G. Which 5G networks are already live? EE has already announced that it will launch its 5G network in six UK cities by mid-2019. The list covers most the largest cities in England, Scotland, Wales and Northern Ireland with London, Cardiff, Edinburgh, Belfast, Birmingham and Manchester all making the cut. The network, formerly known as Everything Everywhere, has also confirmed that it will expand its 5G network to 10 further cities by the end of the year. Liverpool is confirmed for the second half of 2019, as is Leeds, Sheffield and Newcastle and Glasgow. Speeds of faster than 10 gigabits per second have been promised. EE has also got one of the most impressive lineups of 5G launch devices too. Already confirmed to be available at launch are the Samsung Galaxy S10 5G, OnePlus 5G, Huawei Mate X, LG V50 ThinQ 5G and HTC’s Mobile Smart Hub. Back in September 2018, EE announced that it was upgrading more than 500 mobile towers in preparation for its 5G rollout. EE, which is owned by BT, currently has the largest 4G network in Britain, so it is well placed to become a forerunner in 5G tech. The carrier has around 99% population coverage for 4G, with around 91% of the UK geographically covered. It remains to be seen how quickly it can convert that huge network to 5G, but EE is in pole position in the race for 5G at the moment. O2 has also confirmed that it will launch its 5G network at some point this year. We still don't know when exactly, but the signs are positive that O2 is on track. It recently changed its window for a commercial launch of 5G from 2020 to 2019. We also know a couple of cities where it will go live first: Belfast, Cardiff, Edinburgh and London. Like EE, O2 is going for a spread across the home nations, hitting the capital cities first. In terms of devices, only the Samsung Galaxy S10 5G is confirmed for O2 so far. Interestingly, O2 is branding its next-generation network ‘5G lite’, at least until 2020. The reason is that it will be using non-standalone architecture to deliver 5G at first. We’ve seen the likes of this before in the US, where AT&T rebranded parts of its LTE network as 5G Evolution, adding a 5GE logo to smartphones. O2 currently has more than 15,000 Wi-Fi hotspots throughout the UK, and we’d be surprised if the carrier didn’t incorporate this infrastructure into the launch of its 5G network. After all, in the early days of 5G, at least, widespread access is going to take time, and O2’s Wi-Fi network could prove to be an advantage for the operator. Vodafone was one of the big winners of last year’s 5G spectrum auction in the UK, securing the largest block of bands, and has not been shy in making its promise to bring gigabyte speeds to its consumer and business customers. Vodafone will also launch its 5G network in the second half of 2019 with plans for 1,000 active 5G sites by 2020. The Berkshire-based network provider also plans to have 50% of UK devices up and running of a 5G connection by the middle of the next decade. Vodafone clearly has big plans for 5G, and announced more cities than most at this stage. Plans for 5G coverage is planned for no fewer than 19 cities. All of the major cities in England, Scotland, and Wales have made the cut, along with some more left-field choices such as Birkenhead, Guildford and Newbury. That doesn’t mean that all of those cities will get 5G at the same time, of course. Vodafone has already started trials in Birmingham, Bristol, Cardiff, Glasgow, Liverpool, London and Manchester, and it would make sense if these locations were top of the priority list, with the rest rolling out later. Equipment in the test sites is connected to something called Vodafone RedStream, a nationwide optical fibre network - which Vodafone says is capable of providing speeds of up 10 gigabits per second. In terms of devices, only the Huawei Mate X is confirmed to launch on Vodafone so far, but we’d be stunned if the Samsung S10 5G didn’t make its way over to the provider too. In October 2018, Vodafone became the first UK company to carry 5G traffic over a commercial mobile network. Also penciled in for a 5G launch in the second half is Three UK. The subsidiary of CK Hutchison Holdings Limited, a Cayman Islands-registered multinational conglomerate headquartered in Hong Kong, has been more tight-lipped than its competitors when it comes to announcing 5G cities and a detailed roadmap of how it will roll out its next-generation network. In February this year, Three announced a partnership with Central Saint Martins, the London art school. Designer Gerrit Jacob has apparently already used Three 5G whilst working on his collection through Magic Leap mixed reality. Three was proud to announce that “the first consumer-ready 5G has arrived”, but there’s no need to get carried away just yet. Three is taking 5G seriously though and has announced plans to invest £2 billion in the technology. The provider has already upgraded most of its network to 4G+ in preparation for 5G. It is also switching to a cloud-based 5G-ready network, and trials are already underway. Unlike some countries, such as the US and South Korea, that have already gotten consumer 5G networks up and running, the UK is only just reaching the start line. 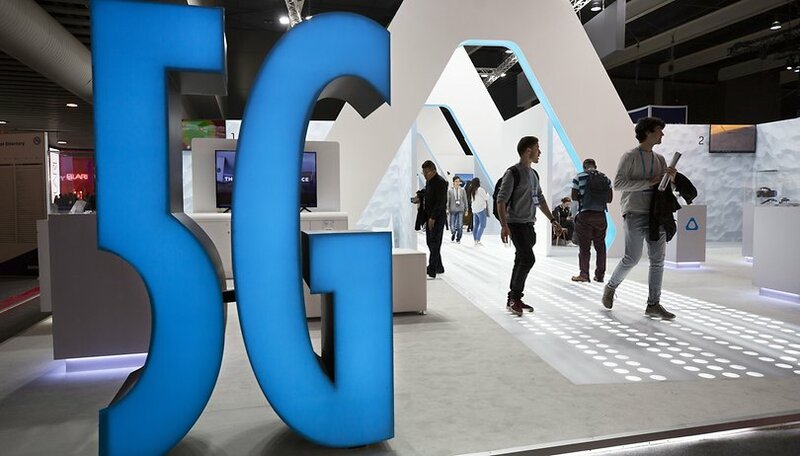 The initial bidding process for the 5G bands was delayed with the four major providers getting tangled up in legal battles and challenges. The auction is now complete, however, and a total of £1.37 billion was spent on acquiring those precious frequencies. A year after the auctions, there are plenty of rollouts scheduled for 2019, and for the major cities in the country at least, 5G will become a reality this year. However, if you live outside of the likes of London, Birmingham and Manchester, it is likely you will be waiting until 2020 or even later before you have comprehensive 5G coverage. For widespread coverage throughout the UK, 2022 is looking more and more like the earliest that will happen. The short answer is: we don't really know. But it will almost certainly be more than you are paying for 4G, at least for the early years of the fifth generation network. Data plans will also have to re-worked. With the download speeds that will be available on 5G networks, you will max out your 10GB/month data plan in no time. In the US, where 5G networks are already live, $50 to $70 per month is common as an add-on to an existing wireless smartphone data plan. That could be a reasonable ballpark figure to work off when trying to predict the price in the UK. The cost of 5G for consumers will be high in the early years of the network. A recent survey by PWC concluded that one-third of people are willing to pay more for 5G, with faster data speeds and true and consistent unlimited data being the top reason why. How excited are you for 5G in the UK? Would you switch operators to get 5G connectivity earlier? Let us know. It's taken many years for 4G to be available to most households in the UK, ask the question about 5G in about 5 years 😁. I for one am only a couple of miles outside of a large city and still have to rely on WiFi calling never mind trying to use a data connection in the house.